Our children live in a hurry-up world of busy parents, school pressures, incessant lessons, video games, malls, and competitive sports. We usually don't think of these influences as stressful for our kids, but often they are. The bustling pace of our children's lives can have a profound effect on their innate joy—and usually not for the better. Yoga can help counter these pressures. When children learn techniques for self-health, relaxation, and inner fulfillment, they can navigate life's challenges with a little more ease. Yoga at an early age encourages self-esteem and body awareness with a physical activity that's noncompetitive. Fostering cooperation and compassion—instead of opposition—is a great gift to give our children. Children derive enormous benefits from yoga. Physically, it enhances their flexibility, strength, coordination, and body awareness. In addition, their concentration and sense of calmness and relaxation improves. 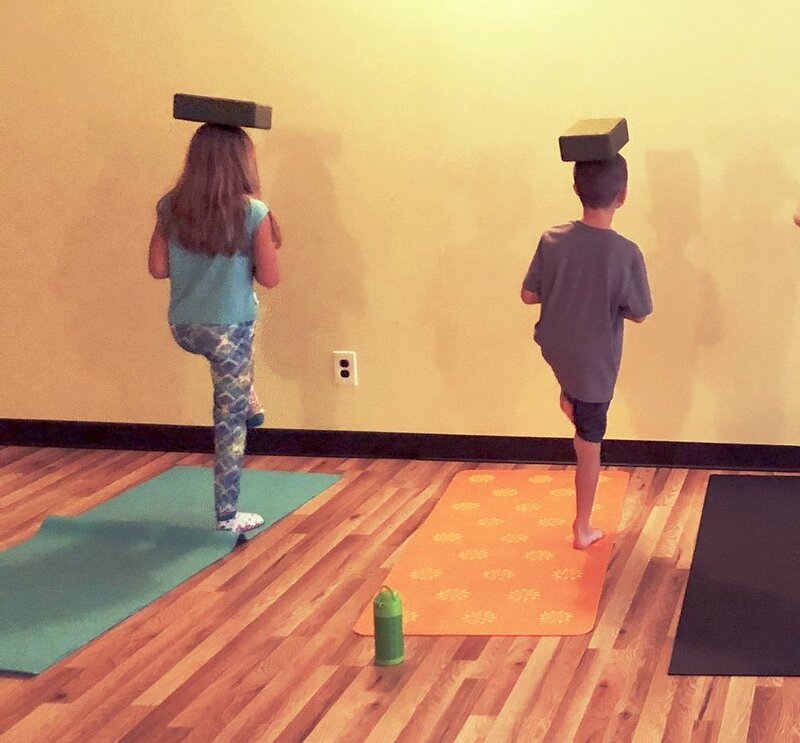 Doing yoga, children exercise, play, connect more deeply with the inner self, and develop an intimate relationship with the natural world that surrounds them.